Digital Radio UK announced as organisation to oversee digital switchover | What Hi-Fi? You should already be well aware that all national radio stations will slowly but surely be moving from analogue to digital, at which point the analogue signal will be turned off – 2015 is the target date. The new body will work with the entire industry, including the BBC and commercial radio, and interested parties, such as the car industry. 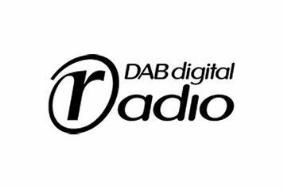 Digital Radio UK will also look to build on the work of the Digital Radio Development Bureau and the Digital Radio Delivery Group. If you think this is all getting a bit People's Front of Judea then think again. The BBC's director of audio and music, Tim Davie, says it shows the industry is working together. Davie said: "It's a clear indication that the whole radio industry is committed to securing a digital future for radio. By working together we can deliver solutions that significantly increase digital listening and help to make switchover a reality." Digital Britain set a 2015 target date for a complete digital switchover, when all the national stations and the majority of local services would be removed from the analogue signal.